Exclusive monthly download of quality information and counseling on all the latest trends in regards to your Health and Fitness. Our amazing Infosheets of meaty content also come as professionally recorded audio in MP3 format files that you can download each and every month and add to your mobile device and listen anywhere you like. Everyone wants to look their very best! It is only natural to want your body to be strong, trim, and attractive! Not only will looking great make you feel good about yourself, it can improve your overall health and make you feel as good as you look! There are many other benefits to having a body that is in its very best condition! When your body is fit and healthy, it will increase your self-esteem! This can do wonders to improve your social life, your business life, and virtually every other area of your life, too! You may not have realized how much you can gain from a body that is in top-notch condition– until you begin to see the results for yourself! Getting your body in great shape is not nearly as difficult as you may think! The only catch is knowing what steps to take in a home workout routine, and which kinds of errors you need to avoid! When you have the facts in hand, you will know exactly how to plan the home workout routines that are the best for you, and avoid the pitfalls that can slow you down or be counterproductive! The good news is none of this needs to happen! When you have the basic points of what you should look for in a home workout, it will be easy to specially-design a home workout which will give you the results you really want! Not only will you be surprised at how easy and enjoyable your home workout can be, you will surely be delighted with the results! The perfect body you have always wanted can be yours! Getting all of the information you need to create a fun, exhilarating home workout has never been easier! You will learn everything you need to know with this membership! Everything You Need to Know About Exercises and Exercising! Everything You Need to Know About the Mistakes You Must Avoid! I guess that is kind of a silly question; “How much is that worth to you?” is kind of like asking how much is your health worth to you. I am sure the answer would be “priceless.” $17.00 compared to “priceless” is a drop in the bucket then, and in reality, that $17.00 will pay itself back the first time you put all the valuable information inside to use or you see the first improvements in your health when doing our workout exercises. 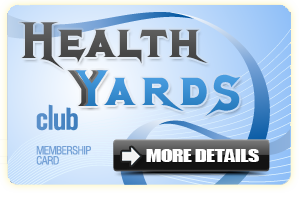 ORDER NOW, our Club Membership is Only $17.00 per month (1st 500 members)!